While the new BBC director general George Entwistle bets the shop on producing “genuinely digital content” other more enlightened souls are leading the way back to genuinely non-digital content. High-end speaker manufacturer Bowers & Wilkins has just announced the release of a 24-bit studio-quality download version of Mike Oldfield’s audio classic Tubular Bells. Although still working in the digital domain this lossless format reproduces the sound almost exactly as captured at the original sessions, thereby eliminating the quality degradation experienced with lossy digital formats such as MP3. Studio quality downloads are a commendable way of combining the benefits of digital distribution with (almost) non-digital sound quality. Much attention is given to the demise of major labels and other macro changes in the record industry, but micro developments by niche players such as Bowers & Wilkins are being overlooked. Another example of disruptive innovation by a different audio hardware manufacturer is the studio quality download of the magnificent Bach Matthew Passion from Linn Records that I wrote about in 2009. 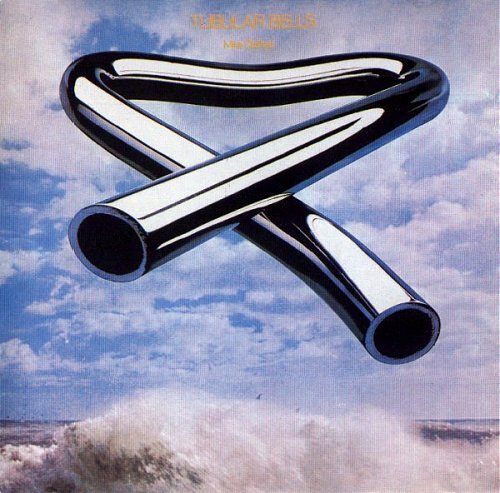 Note that for licensing reasons the B & W Tubular Bells is only available in UK, France and Germany. Any copyrighted material on these pages is included as "fair use", for the purpose of study, review or critical analysis only, and will be removed at the request of copyright owner(s). Report broken links, missing images and errors to - overgrownpath at hotmail dot co dot uk Also on Facebook and Twitter. I object to your conflation on non-digital and lossless recordings. It is important to be clear about these things. I am particularly confused because in the body of your post, you suggest that you do understand that you aren't really talking about non-digital (ie. analog) recordings. There are lots of people who are confused about this distinction. Why contribute to it? Dave, I make it quite clear in the post that this type of 'studio quality' download is "still working in the digital domain" and I use the words "(almost) non-digital sound quality". The headline is a cross-references to the quote from George Entwistle in the first paragraph and is qualified by the word "towards",. Yes, confusion does exist. But it is due to the fact that the only 100% non-digital option for listening to recorded music is an analogue recording replayed from a vinyl LP, and this option is only available to very few people. Which means that most listeners experience of the often superior quality of analogue recordings is via a conflated analogue and digital reproduction chain - ie an analogue recording remastered to CD. Thank you for the link to other sources of lossless recordings which will help spread the word.